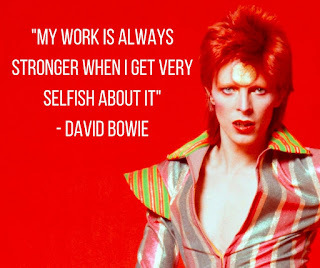 "My work is always stronger when I get very selfish about it"
"I've always been a fan of Bowie, and respected his work ethos enormously. He only ever worked for himself, in the way that he wanted to. This is something that I've tried to replicate in my own life."